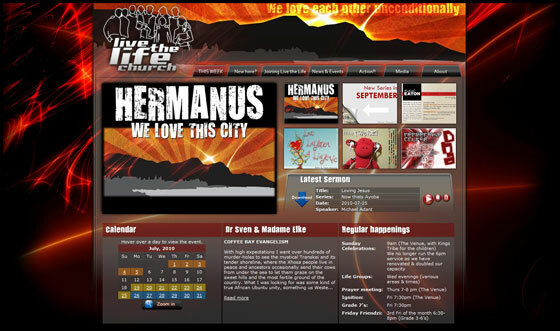 Live the Life is a church based in Hermanus, in the Western Cape, who live out their passionate love for God, their unconditional love for one another, and their unrelenting love for their community and the communities of the world. The church is vibrant and diverse, with many of its members busy in their community. 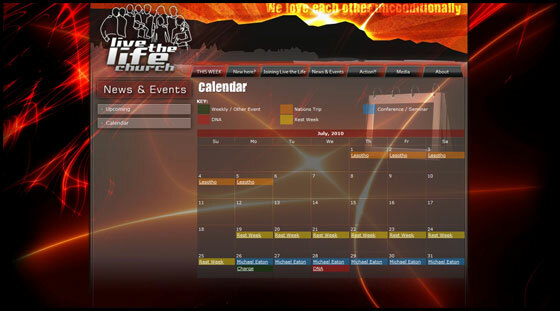 So Live the Life church needed a website that would be able to provide information to those who had visited the church or were looking in, provide a platform where the church’s resources could be accessed and downloaded, as well as have hub where members can view news and events and stay up to do with what is happening in their Mercy Ministries, Nations Missions, as well as their Youth Groups. 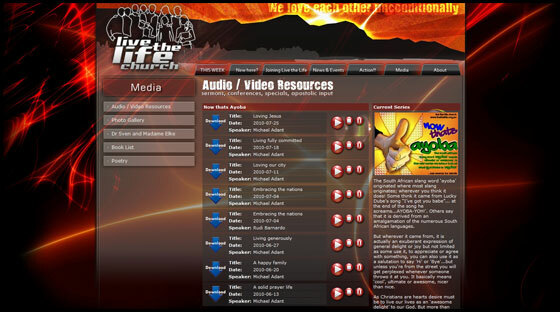 A front page that allows a variety of important media and information to be displayed at once ie the latest sermon, calendar, regular happenings, weekly and upcoming events etc.